If you are a customer of Pacific Stonescape and would like to link your site with ours, please notify us and we will we will review your request and get the link accomplished. We offer complete landscape design, construction & maintenance. Our goal is to create each landscape with the skill and expertise our customers expect while genuinely expressing the elements of nature. See our portfolio of work on our website. Craftsman-grade natural stone and paver work in landscape and residential construction/remodeling. Residential and commercial masonry. Patios, waterfeatures and unique masonry design elements. 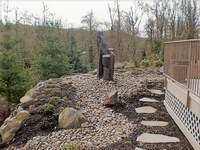 providing a full range of landscape improvements, including stone masonry and water features. Who we are: - A team that is licensed, bonded, insured and experienced in all phases of landscape construction, including irrigation and back flow prevention. What we do: - Create eco-friendly, aesthetically pleasing gardens and landscape - Focus on native species, edible plantings, sustainable ground covers - Emphasize water wise planting/xeriscaping to reduce outdoor water use by 20 to 50 %.Garden Spaces Sustainable Landscapes is "Changing the World,...One garden at a time!" Our website describes who we are, our vision, our services and contains galleries of examples. 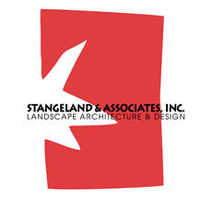 Landscape design / build for the Portland area, with a focus on the use of stone and water. We create custom landscapes for the modern family! Whether you have a large area or small one, a good design and installation goes a long way. 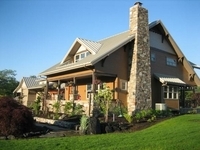 We have installed many water features from the Oregon Coast to Central Oregon and all points in between. Please check out our site.